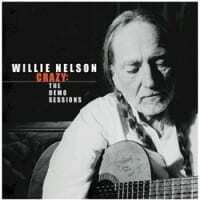 Willie Nelson and Nashville never really hit it off--the music machine was baffled by Nelson's offhand, almost jazzy vocal delivery, which producers' slick arrangements of his songs tended to obscure. However, Nelson enjoyed considerable success writing songs for other artists, including Ray Price and Faron Young, and this collection of demo recordings, done for his publisher, is a fine display of his songwriting skill. Containing previously unreleased versions of classic songs like "Opportunity to Cry," "What Do You Think of Her Now," and "Darkness on the Face of the Earth," as well as the little-known song "I'm Still Here," these rough recordings have worn well over time and now seem almost contemporary. Willie Nelson (vocals, guitar) , Ray Edenton / Pete Wade (guitar) , Jimmy Day / Buddy Emmons (steel guitar) , Hargus "Pig" Robbins (piano) , Bob Moore / Roy "Junior" Huskey / Floyd "Lightnin" Chance (bass) , Willie Ackerman / Buddy Harman (drums).